2 images. 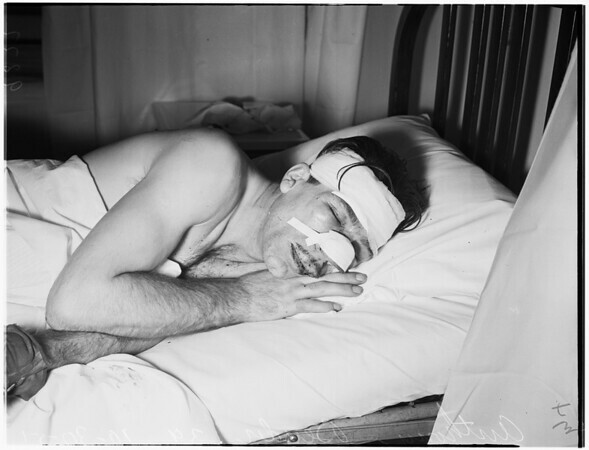 Crippled man beaten, 30 October 1951. Anthony Bender -- 39 years (has artificial left hand, beaten by two men and a woman in a bar).